The mother of four is spotted getting friendly with her ‘RHOJ’ co-star Danielle Staub, years after their infamous table-flipping moment. 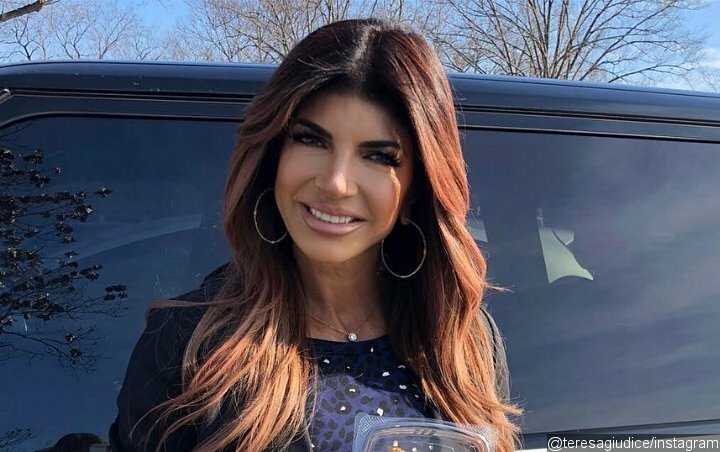 Even though her husband Joe Giudice is currently living behind bars, it doesn’t stop Teresa Giudice from having fun with her other loved ones. “The Real Housewives of New Jersey” star was spotted smiling ear to ear while attending the Cosmopolitan show during New York Fashion Show on Friday, February 8. Last month, Teresa was said to be opening up about her marriage during season nine reunion taping of “The Real Housewives of New Jersey”. A source revealed that she announced to her co-stars that she and the 46-year-old businessman would “go our separate ways” if he’s deported. “Teresa told Andy [Cohen] that if Joe gets deported, she’s not going. She said that she and Joe had talked about it over the phone, and that he understood,” the source said.